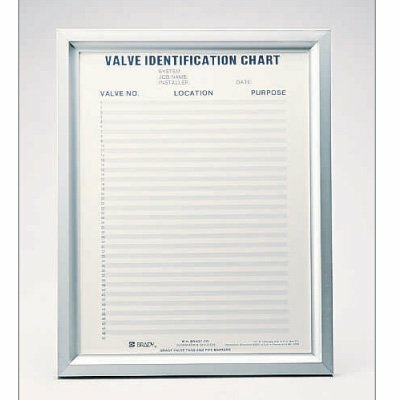 Use Valve Chart Frames to save critical time by displaying the location of your valves and pipes. Rugged extruded, anodized frame comes with a clear plastic window. A free valve chart is included with each frame. Need custom engraved valve tags? Check out our custom engraved aluminum valve tags and our custom engraved stainless steel valve tags now!